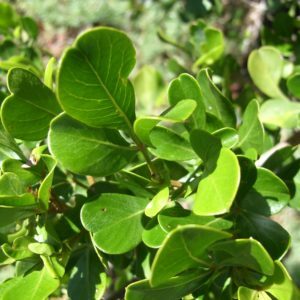 An evergreen shrub, well branched with obovate, trifoliate leaflets which have with a resinous coating which dries to a greyish powdery layer. Clusters of round and shiny reddish brown berries appear from August. 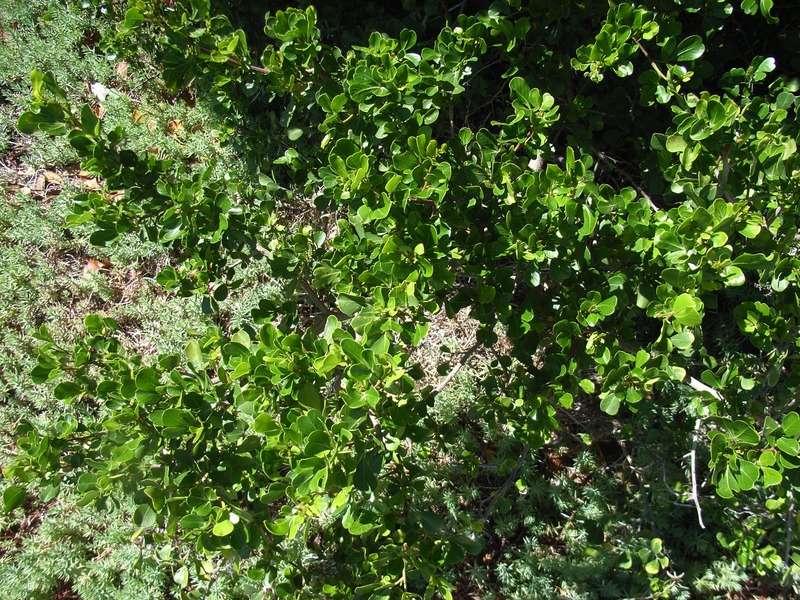 Plants useful for stabilising dunes. They are the favoured host of the mistletoe Viscum capense in the strandveld of the southwestern Cape.